Note that some of these links are presented more as “news items” or “items of interest” rather than recommended practice. Don’t trust everything you see on the internet. Before trying something new that you heard about on the internet, ask around at one of the regular meetings and check with a Master Beekeeper for advice. Taranov splits – More links included at the end of the article. Build a Frame Assembly Jig (YouTube video) – Click here for PDF file of plans. Modifications to the FatBeeMan No-Drown Feeder. Mods made by Stephen Clay McGehee. Program Materials – Materials from some of our meetings. Please feel free to use them for your meetings. From the March 2015 Newsletter: Tom attended a workshop about black bears sponsored by Volusia County. In the state of FL Volusia County has the largest black bear population. 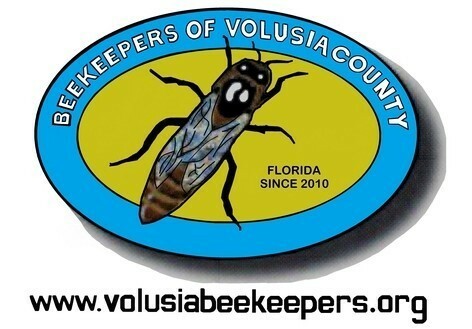 20% of the calls concerning black bears in Volusia County are related to beekeepers. To deter black bears in the bee yard, the biologist recommended baiting an electric fence with bologna or bacon daily. Owing to the remarkably consistent properties of Extra-Virgin Olive Oil, one drop of it on the slide will always read between 71 and 72 on the Brix scale. If you set the lock-nut to show any such oil at 71.5, you will have correctly calibrated the water content scale at the same time.